The solid steel frame of the CSC series Stamping Press is designed to minimise deflection, ensure accuracy and reliability. Wet or dry clutches are available. 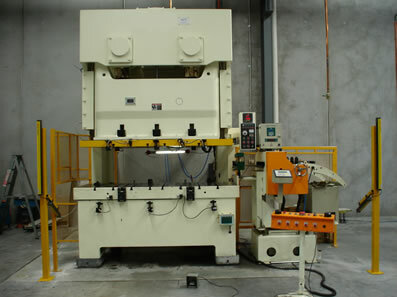 An overload protection system is fitted to all presses. Capacity ranges from 25 to 260 Tons. The solid steel frame of the CDC series Stamping Press is designed to minimise deflection, ensure accuracy and reliability. Wet or dry clutches are available. An overload protection system is fitted to all presses. Capacity ranges from 110 to 250 Tons. The solid steel frame of the CSCHS series High Speed Stamping Press is designed to minimise deflection, ensure accuracy and reliability. 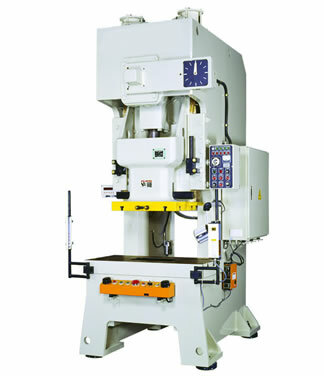 This High Speed Press is ideal for stamping light weight and thin gauge parts when high volumes are required. 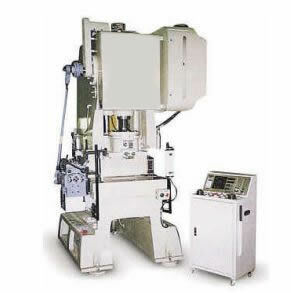 In the occurrence of die jamming, this press has an easy hydraulic ram release system. Capacity ranges from 25 to 65 Tons.